The governor has just started to meet with state legislative leaders on the budget, much less entertain talks with city officials about how to come to an agreement mitigating the costs of his proposals that the mayor and others are pushing back against. This weekend, Cuomo made three Sunday stops on his "Drive for $15" tour, in Queens, Brooklyn, and Manhattan. Cuomo received some welcome support when The New York Times editorial board wrote in support of his efforts to raise the minimum wage. The governor starts his week at a paid family leave rally - details below. For his part, de Blasio spent the weekend marching in two St. Patrick's Day parades and making a few other public appearances. He begins his week with a Monday announcement on gender equity - see below for details. There's more than just budget dealings happening this week, of course. For example, the de Blasio administration's proposal for rezoning East New York comes before the City Council zoning committee first thing Monday morning. Get up to speed on what's happening with the mayor's housing plans with the latest ten-minute update from our Ben Max and City Limits' Jarrett Murphy - listen here. Also, look for events featuring public speeches by MTA chief Tom Prendergast and Assembly Speaker Carl Heastie - see below for details. As always, there's a great deal happening all over the city, with many events to be aware of - read our day-by-day rundown below. Riders Alliance members will travel to Albany Monday to speak to legislators about better funding for subway and bus service. At 10 a.m. Monday, Governor Cuomo will deliver remarks at a rally for paid family leave at IBEW Local 25 Union Hall in Hauppauge. At 10:15 Monday morning at the Chelsea Recreation Center, "Mayor de Blasio and First Lady Chirlane McCray will host a press conference to make an announcement on gender equity." At 4 p.m. Monday, de Blasio will appear on Power 105.1. 9:30 a.m. meeting of the Subcommittee on Zoning and Franchises on the East New York rezoning. 10 a.m. meeting of the Committee on Fire and Criminal Justice Services to discuss requiring the Department of Correction to report on security indicators in city jails and to make changes to jail data reporting on adolescents. 11 a.m. meeting of the Committee on Housing and Buildings to discuss legal changes in relation to low energy intensity building requirements and green building standards for certain capital projects. 1 p.m. the Committee on Civil Rights will meet for a preliminary budget hearing. At 2 p.m. Monday, Comptroller Scott Stringer will deliver remarks at A Better Balance 10th Anniversary Conference at NYU. At 5:30 p.m. Monday the City Council will host a celebration to honor Greek-Americans who have dedicated themselves to serving their communities. The event will feature honorees who have helped promote Hellenic and democratic values and have been great examples of civic engagement throughout the community. City Council Member Costa Constantinides and Council Speaker Melissa Mark-Viverito will lead the celebration. At 8 a.m Tuesday, City & State magazine, in partnership with CUNY and SUNY, will host a breakfast forum focusing on the challenges and opportunities for community colleges and the New York workforce. At 9 a.m. Tuesday, Bronx Borough President Ruben Diaz Jr., the Metropolitan Transportation Authority, and the Bronx Overall Economic Development Corporation will host a business development seminar titled “Learn How to do Business with the MTA,” to provide an opportunity for certified minority, women-owned, disadvantaged or small business enterprises to learn about contracting and procurement opportunities available with the MTA. 10 a.m., the Committee on Standards and Ethics will meet for a preliminary budget hearing. Noon, the Committee on Public Safety will meet for a preliminary budget hearing. 1 p.m., the Committee on Education will meet for a preliminary budget hearing on the DOE capital plan (expense is later this month). 2 p.m., the Committee on Civil Rights will meet to discuss amending the administrative code to defend human rights laws, specifically regarding sexual orientation discrimination. 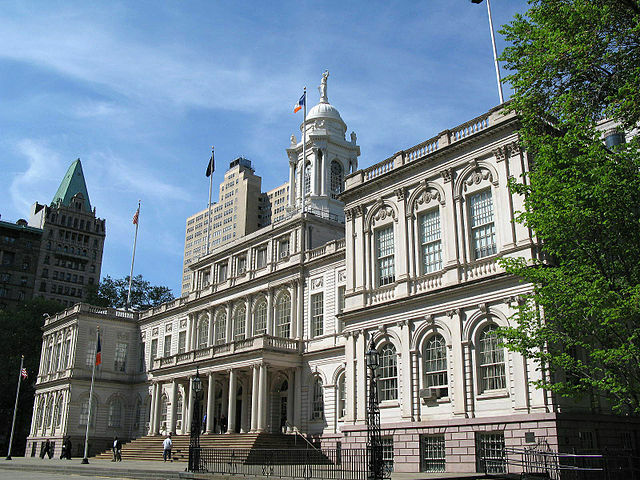 At 6 p.m. Tuesday, Manhattan Borough President Gale Brewer and The Alliance for Quality Education will hold a public hearing on issues facing public schools, including overcrowding and lack of resources. At 6:30 p.m. Tuesday, the Brooklyn Historical Society will host “Why New York? Our Segregated Schools Epidemic.” This discussion will be moderated by Nikole Hannah-Jones, investigative reporter for the New York Times Magazine, and include principals, teachers, and parents. At 8:30 a.m. Wednesday, the Association for a Better New York will host a breakfast featuring Thomas Prendergast, Chairman and Chief Executive Officer of the Metropolitan Transportation Authority. Prendergast will discuss the MTA’s Capital Program and provide an update on MTA projects underway. Noon, the Council will hold the first of its two full-body Stated Meetings of March. At 6:30 p.m. Wednesday, Urban Pathways is sponsoring a discussion at The Museum of the City of New York on solutions for combatting homelessness in New York City. Participants will include Jumaane Williams, Council Member, 45th District, and Chair, Committee on Housing and Buildings; Daniel Tietz, Chief Special Services Officer of New York City’s Human Resources Administration; Lynn Lewis, Executive Director, Picture the Homeless; DeBoRah Dickerson, Spokesperson for Picture the Homeless; herself formerly homeless; Carl Siciliano, Founder, Ali Forney Center; Alana Semuels (moderator), Staff Writer at The Atlantic. At the City Council on Thursday: at 10 a.m., the Committee on Fire and Criminal Justice Services will meet for a preliminary budget hearing. At 7:30 p.m. Thursday, NYU Women's HerStory Month will host "Bleeding Freely: Menstrual Equity, Activism, and the "Tampon Tax" featuring City Council Member Julissa Ferreras, activist Jennifer Weiss-Wolf, activist Kiran Gandhi, and journalist Lisa De Bode. At 8 a.m. Friday New York State Assembly Speaker Carl Heastie will discuss “His first full session as Assembly speaker” and “The state budget and his legislative priorities including minimum wage, paid family leave and ethics reform” at a Crain’s Business Breakfast Forum at the New York Athletic Club. The event will be moderated by Erik Engquist, Assistant Managing Editor of Crain's New York Business and Laura Nahmias, reporter for Politico New York. At 8:30 a.m. Friday, Brooklyn Borough President Eric Adams will co-host the Brooklyn Alzheimer's Conference. 10 a.m., the Committee on Mental Health, Developmental Disability, Alcoholism, Substance Abuse and Disability Services will meet for a preliminary budget hearing. 11 a.m., the Committee on Environmental Protection will meet for a preliminary budget hearing. On Saturday at 2 p.m., City Council Member Andy King will host his third State of the 12th District Address to highlight the district’s finances, accomplishments over the past year, challenges facing the district, and future planning.